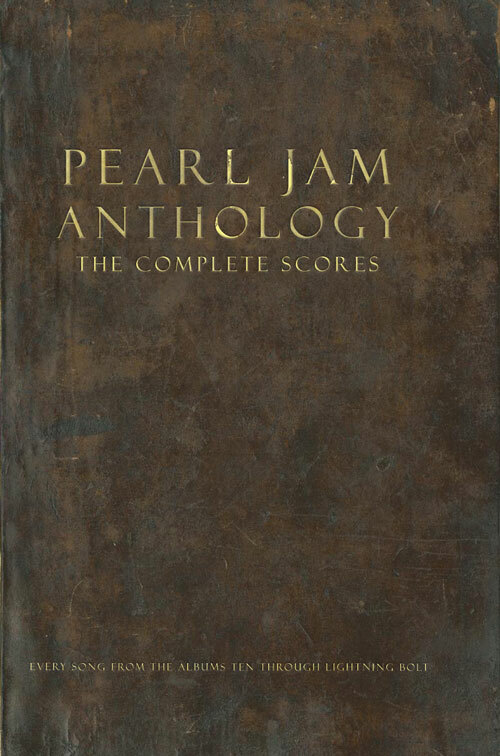 This deluxe hard-cover book provides 130 scores of every song on the Pearl Jam albums Ten through Lightning Bolt. Over 800 pages of music contain lyrics and streamlined transcriptions of every instrument that was recorded for an amazing written documentation of this influential band. Guitar and bass parts are written in both standard notation and tablature. Songs include: Alive • Animal • Better Man • Black • Breakerfall • Corduroy • Daughter • Dissident • Do the Evolution • Elderly Woman Behind the Counter in a Small Town • Even Flow • Given to Fly • Go • Grievance • Indifference • Jeremy • My Father's Son • Not for You • Nothing As It Seems • Once • Porch • Rearviewmirror • Wishlist • and more. Book is packaged in its own protective box. A must-own for any serious Pearl Jam fan or collector! 7-2/8″ x 10-7/8″.